U.S.-developed Aegis Ashore land-based missile interceptor systems, when introduced by Japan, will not have Cooperative Engagement Capability equipment for air defense, it was learned late Saturday. The CEC equipment enables early-warning planes, Aegis destroyers and others to share positional data on enemy aircraft, cruise missiles and other targets of interception, leading to greater interceptor ranges and quicker responses to threats. 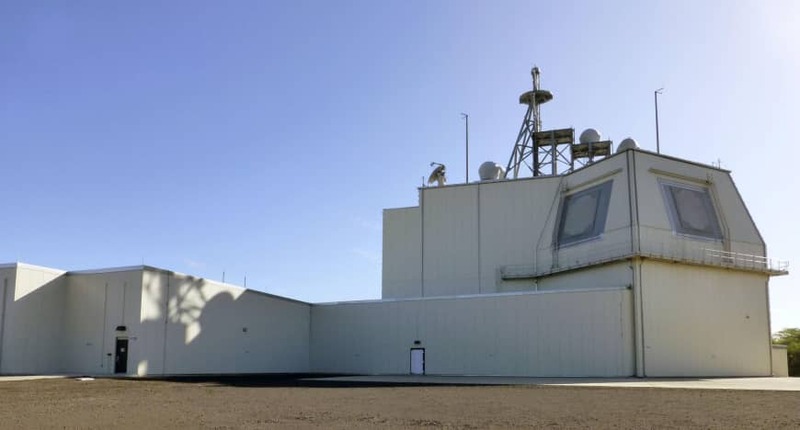 Without CEC, Aegis Ashore systems for Japan will be designed solely for defense against ballistic missiles, not capable of defense against warplanes or cruise missiles, informed sources said. Installing the CEC equipment may be considered in the future as it is a desirable feature, but there is no plan to do it at the moment, a source familiar with the matter said. Another source said the CEC equipment would cause additional costs of tens of billions of yen. In terms of cost effectiveness, the Japanese government plans to use existing Aegis destroyers and surface-to-air missiles to deal with attacks on Aegis Ashore units and nearby targets, the source said. The government is looking to deploy Aegis Ashore units in Akita and Yamaguchi prefectures. Both face the Sea of Japan, which separates the country from the Korean Peninsula. The envisioned Aegis Ashore units were initially expected to include CEC equipment. A U.S. military source questioned the Japanese plan to limit the use of Aegis Ashore systems at least initially to ballistic missile defense, claiming that it is necessary for Japan to not just respond to the threat of North Korean ballistic missiles but also strengthen its air defense capability to address threats from China. Huge costs associated with the Aegis Ashore system may have discouraged the government from adopting the CEC equipment, observers said. The Defense Ministry has come under fire after revising up its estimate of the introduction costs from about ¥80 billion per unit to ¥134 billion. 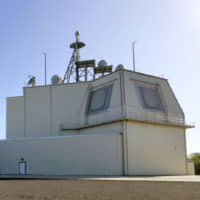 The government may face further costs related to its selection of Lockheed Martin Corp.’s sophisticated solid-state radar equipment for the Aegis Ashore units.